And they can take any shape you like or need them to have. Prof. Valeria Nicolosi HD 720p from Jesus Barco on Vimeo. 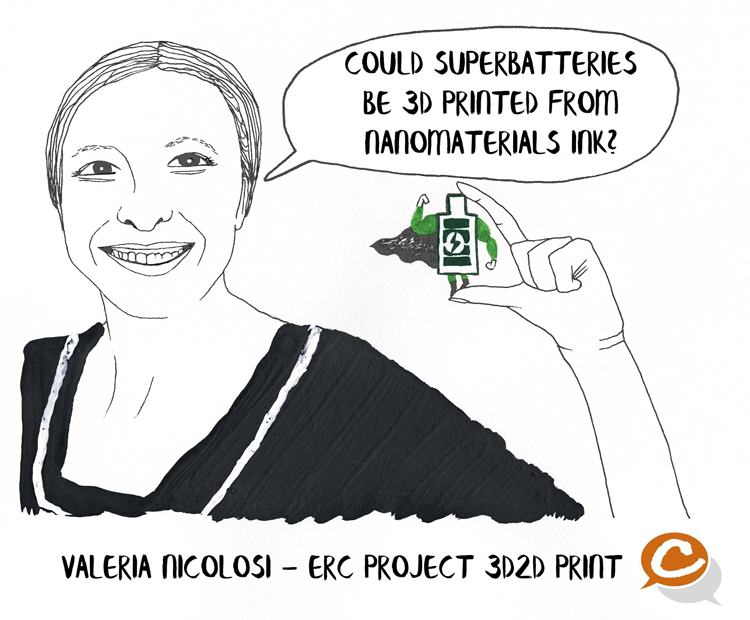 ERCcOMICS is a creative and ambitious project that exploits the power of visual storytelling to innovate the way European science is communicated. Subscribe to our newsletter to receive updates and be notified when a new comic is published. This project has received funding from the European Research Council (ERC) under the European Union's Horizon 2020 research and innovation programme under the grant agreement No 672466.